So last week I went to Portland after a whole year of being away! It was great to be back in my college hometown and it was even better that I got to visit Powell's Books ^^ For those of you not from the Portland, Oregon area, Powells is a HUGE new and used bookstore that is literally an entire city block wide, it's great and they have one of the biggest YA sections I've ever seen. Needless to say I had to reel myself in and was able to find a few deals. 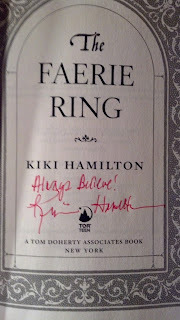 And even more exciting the copy of The Faerie Ring I found at Powells was signed and there was also a signed bookmark inside! Awesome week. Kiki's book is such a great read! Enjoy! I know I am so curious about Daemon and Obsidian. I still need to read it. 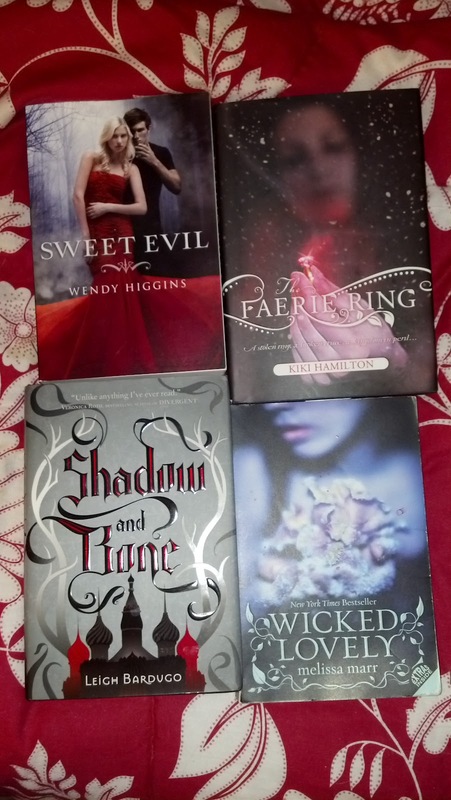 I also am dying to see what the hype is about with Sweet Evil and Shadow and Bone. Those seem to be two great reads everyone is talking about. Wicked Lovely was okay and I wasn't a fan of the Faerie Ring but the cover is pretty and awesome that it is singed. Hope you enjoy it! SWEET EVIL. It's an awesome book - one of my favorites of 2012! I also got Shadow of Bone this week! Great haul! I have Sweet Evil and The Faerie Ring on my Kindle but I haven't read it yet. Obsidian was amazing and I really want to read Shadow and Bone! :) I hope you enjoy! What a great bookstore! 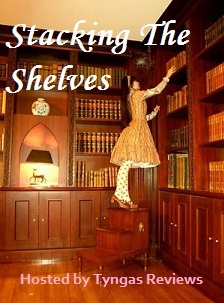 I wish there was something like that where I live -- I would love to be surprised with a random signed book! And great books at that ... The Faerie Ring looks awesome, and I've heard really good things about the Melissa Marr series! I read Shadow & Bone the other week - it was really good! ooh obsidian!! i need to check out the daemon hype too!! I enjoyed Sweet Evil a lot! Happy reading! Emily you had a great week. I can't wait to read Sweet Evil and Obsidian, I've been meaning to get around to it for so long now. 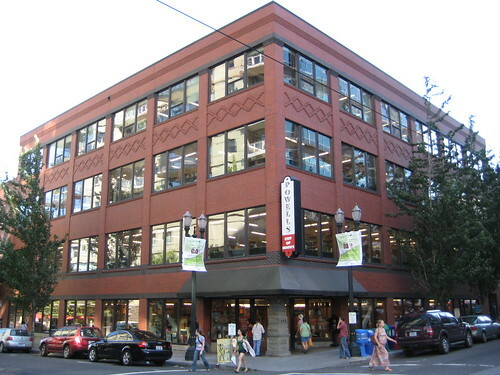 And I want to go to Powells, its sounds so good! 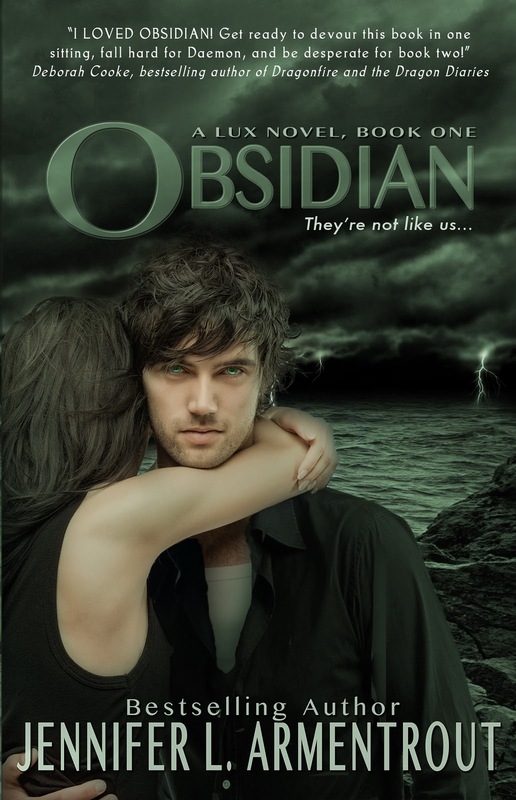 Obsidian - how have I failed to read this series? I MUST hop on the bandwagon. I've seen soooo many posts today with this book! I must be missing out! Have been dying to read the Faerie Ring and have Obsidian (gotta get to it, I bought it in Paperback a while ago). Awesome haul! Sweet Evil & Shadow and Bone are Amazing!! Obsidian is amazing! I really hope that you'll enjoy it! 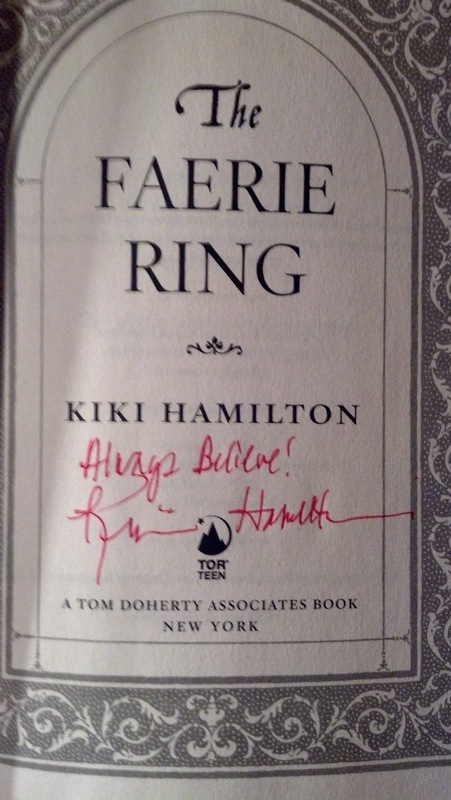 You were really lucky to find a signed copy of Faerie Ring! I bet that was really exciting! 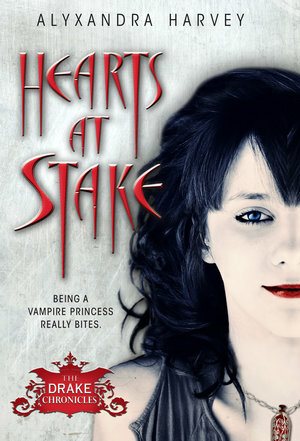 I have it on my bookshelf, yet I haven't read it yet... will have to do so soon! Obsidian!!!!!! Aghhhhhh!!!! *jumps up and down* I hope you love it! Great Haul! I really want to read Shadow and Bone and Sweet Evil! I have heard a lot of great things about both of them! I've been wanting to read Shadow and Bone but haven't had a chance to get to it yet. Thanks for stopping by!